A Moroccan arrested in connection with the Barcelona terror attacks has said his Islamist cell aimed to kill hundreds and strike numerous iconic Christian and tourists sites. 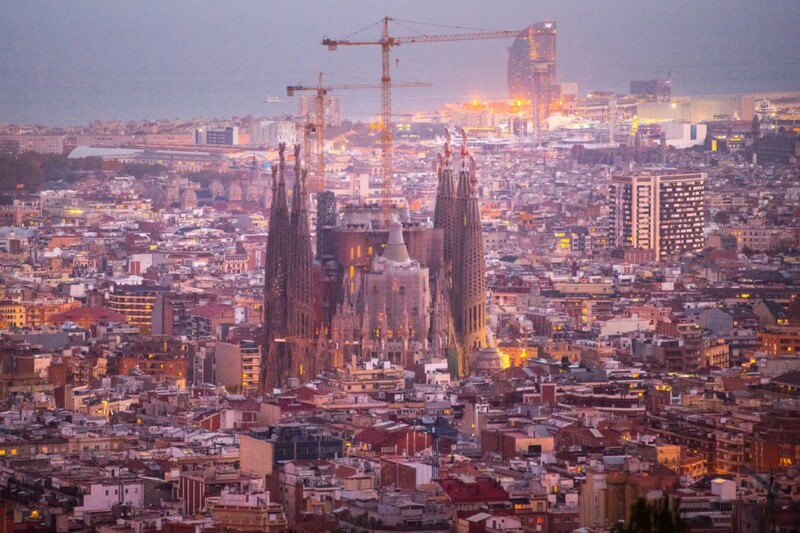 Mohamed Houli Chemlal, 21, told the National Court in Madrid on Wednesday the jihadists had plotted a “wider attack” with multiple bombs at locations such as Antoni Gaudí’s iconic Sagrada Familia basilica (pictured, below) and the Port Olimpic marina, The Times reports. The suspected terrorist is one of four surviving members of the cell. He was injured by the Cambrils bomb factory explosion that killed the imam thought to be masterminding the attacks and gave evidence to the court from a wheelchair. Mr. Chemlal said the group had intended to use the explosives and 120 gas cylinders found in Cambrils to strike at targets during a closed-door court hearing lasting over an hour. The huge quantity of butane gas was found in a house that was completely destroyed by the explosion just days before the attack. Police believe they intended to pack rented vans with bombs to wreak maximum devastation. The bomb-making imam had lived with an al Qaeda recruiter and had links to the 2004 Islamist bombing in Madrid that killed hundreds. The court also heard how he intended to blow himself up in the attack. After the gas accidentally exploded, the cell is thought to have been forced to rapidly launch a simpler attack before they were caught, using ramming tactics instead of explosives. Mr. Chemlal was the first of four suspects to give evidence. Driss Oukabir, Mohamed Aallaa, and Salh el Karib (all pictured) also testified. Prosecutors asked for all four to be detained without bail. 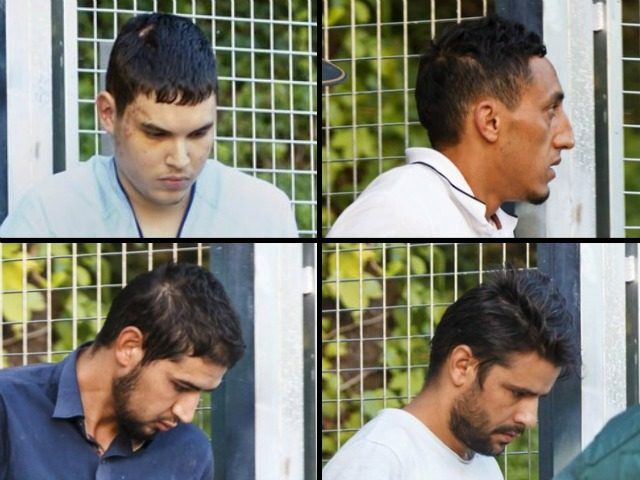 Judge Fernando Abreu ordered that Mr. Chemlal and Mr. Oukabir to be held whilst the investigation continued, but gave conditional release to Mr. Aalla, the owner of the Audi that was used in a second vehicle attack in Cambrils, The Times of Israel reports. The majority of the suspects are of Moroccan heritage and were childhood friends and family members who are thought that have been radicalised in Ripoll by the terror-linked imam. Five of the 12-man cell were shot dead in Cambrils as they launched their second attack, and one went on the run, stabbing and killing a Spanish man, before being killed by police near Barcelona. Police in Morocco have arrested two more men in connection with the attacks. One is a cousin of the two brothers involved in the attack. The other a 35-year-old man believed to have lived in Ripoll for 10 years.